For indeed, that is primarily what search engine optimisation is all about – making your website discoverable to web users. A simpler way to put it would be to say that SEO helps your customers and potential customers find your site on the web, and therefore enables you to drive more traffic to your site and build a greater audience. There is a metaphor that is often used in the digital marketing world to explain how search engines work. It’s a good one, so I shall use it here. Picture your website as a building and the internet as a ginormous city. Your building – just like the one billion+ other buildings in this city – has its own unique content and its own unique address. If a potential customer has your building’s address, then they will be able to find it no problem at all. But what happens when they don’t have your address? What happens when they don’t know that in the contents of your building are the precise goods or services they looking to purchase? And what happens when they need to find your building amongst the billion other buildings in the city? Search engines make the task of finding the right buildings – or rather websites – much, much easier. Every time a new website or webpage is published, search engines deploy special search bots called “crawlers” (or “spiders”) to “read” through the contents of each page. Subsequently, these pages are added to the search engine’s index, which is organised based on content categories and a range of other factors. That’s the first thing that search engines do – crawling websites and building an index. 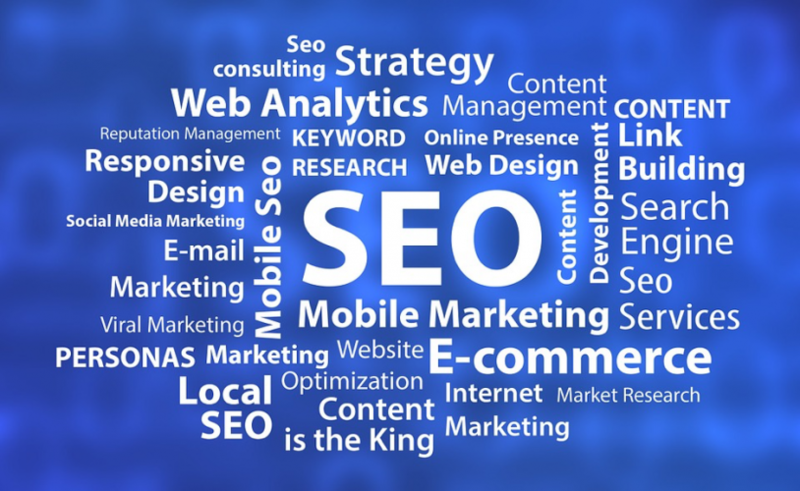 The second function is to provide web users with a ranked list of websites based on the search queries those users type into a search field – and here is where the importance of SEO comes in. Relevance and popularity are not determined manually. Rather, search engines make use of algorithms – i.e. mathematical equations – to do the job automatically. Building relevance and popularity are the fundamentals of search engine optimisation. In the old days, relevance was pretty much determined by keywords – i.e. the words that a user types into a search field that match with the words on the published website – and keywords alone. As you can imagine, the results that were returned were of limited value – especially because many publishers simply piled as many keywords into their content as they could (a process that became known as “keyword stuffing”, which today can actually earn you a Google Penalty and see your website either temporarily or permanently removed from Google’s index). Today, the art of keyword optimisation for the purposes of building relevance is a much more refined activity. Search engines are now much more sophisticated machines. They are able to algorithmically analyse a webpage’s language, structure, and a number of other elements to determine how thoroughly a page addresses a topic, how relevant it is to the search query, and how useful it will be to the end user. Nonetheless, keywords are still an important part of this process, and in order for your website to be discovered by the right web users (i.e. the people in this vast internet city searching in the dark for a business like yours), your website must contain a healthy volume of them – though not so many as to be flagged up for “keyword stuffing”, of course. Content marketing is one of the best ways to build an optimal density of keywords into your website. Writing blogs, white papers, service lists and other content gives businesses the opportunity to spread their keywords over a large number of pages. This ensures that search engines can determine what the website is all about, whilst at the same time the publisher is able to avoid the perils of keyword stuffing. The content of your website helps search engines determine its relevance with regards to search queries. But there are more factors at play, with one in particular being the most important of all – links. Once a search engine understands your website and adds its pages to the search engine’s index, it next turns to external signals that further help determine the relevance and value of each page with regard to search queries. Links are the primary signals used in such assessments. Think of links as “votes”. The more votes our content receives from other publishers, the more useful, relevant and valuable search engines determine it to be. This has been the case ever since Google founders Larry Page, and Sergey Brin, invented what they call PageRank, and finds its beginnings in a paper the pair wrote in the early nineties, entitled “The Anatomy of a Large-scale Hypertextual Web Search Engine”. What this paper concluded was that the web is built on an interconnectedness of documents facilitated by links. However, since including a link on your site to a third-party site runs a very real risk of sending users away, publishers in fact have little incentive to do so – unless the site being linked to contained content that was of great value to the publisher’s own users. Page and Brin thereby decided that links were strong indicators of a website’s usefulness, value and relevance. To this day having a strong portfolio of inbound links remains one of the most important ranking factors of all. Link building – i.e. the process of obtaining links from third-party sources – subsequently forms one of the most critical building blocks of SEO. The key to a strong link building campaign is in creating content that people crave, and then promoting that content – processes that come down to strong content marketing and inbound marketing strategies. Through the creation, publication and circulation of superlative content, webmasters are able to obtain links to their sites, which serve as indicators to search engines that those sites are both popular and relevant – fundamental qualities that ensure high rankings. This covers the basics of SEO and why it is so critical. Building websites that effectively target search engines yet remain relevant to users has a massive impact on discoverability. But good SEO runs much deeper than what I’ve had room to cover in this post. If you’re in need of a strong SEO strategy to help your website climb the ranks, then please get in touch with us here at Cope Sales and Marketing – www.cope-salesandmarketing. You can use our Contact Page to find our details and leave a message. Can’t wait to hear from you!